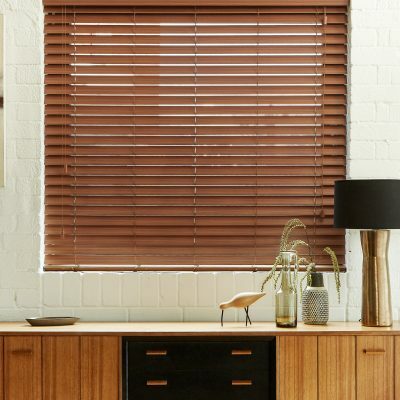 The SC Blinds faux wood blind range offers the beautiful look of real wood with all the benefits of PVC – they are a stylish and practical solution for all interior styles. 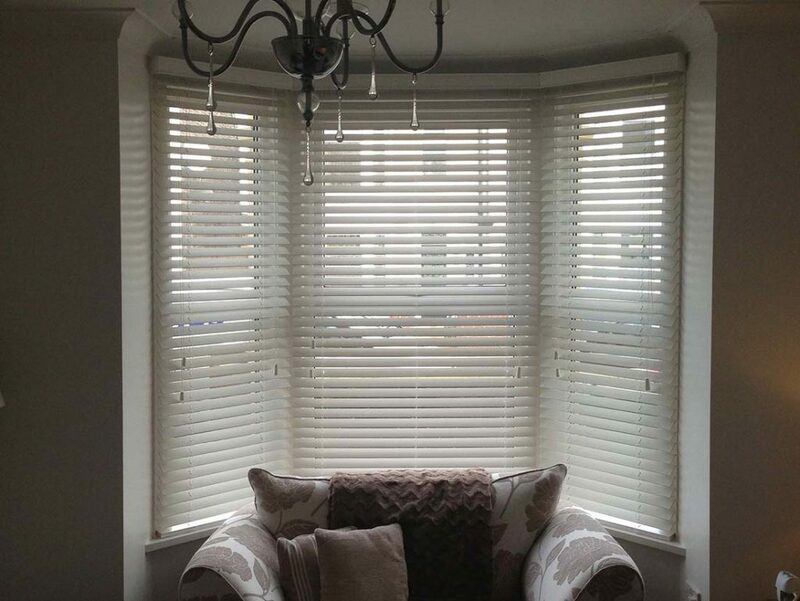 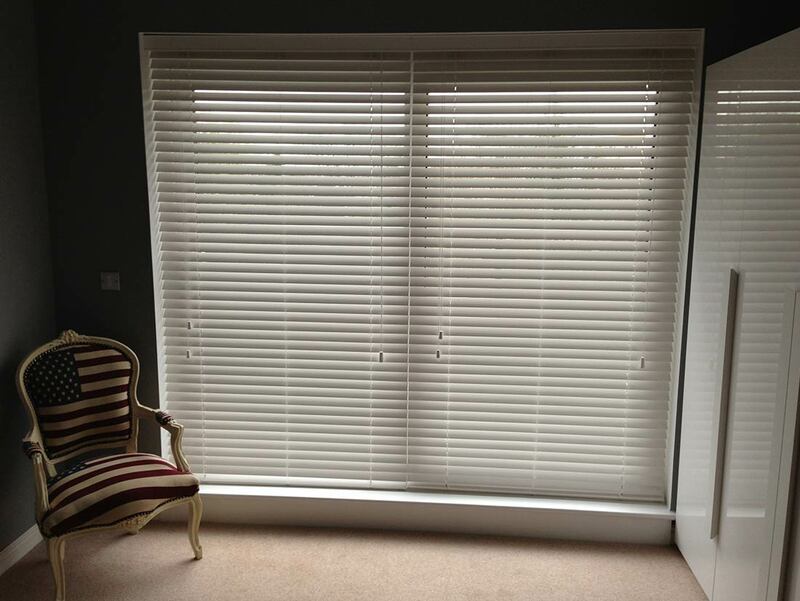 All of our wooden venetians are made to measure and can be fitted across a wide range of windows. 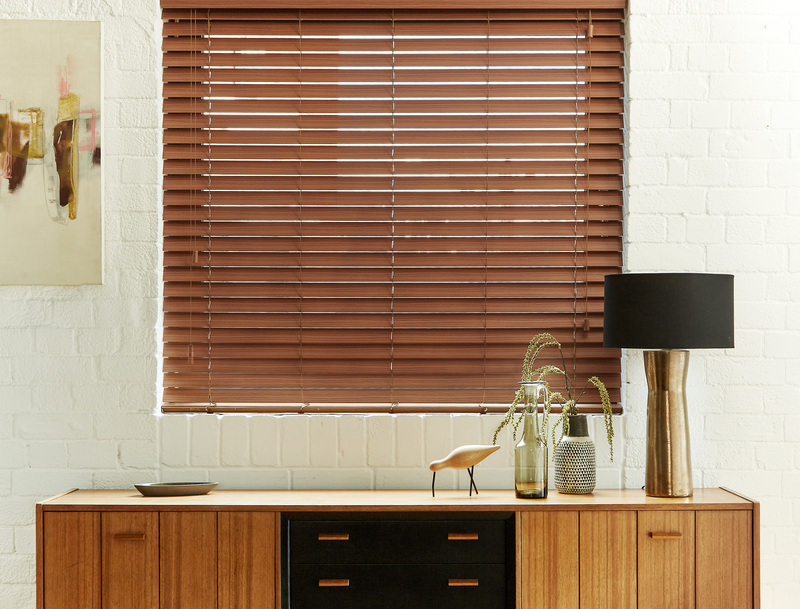 One of the main benefits of Faux Wood Finished blinds is that they are incredibly hard-wearing, meaning that they will stand the test of time no matter how much use you throw at them. 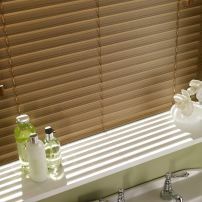 They are also great for any room but particularly perfect for kitchens and bathrooms. 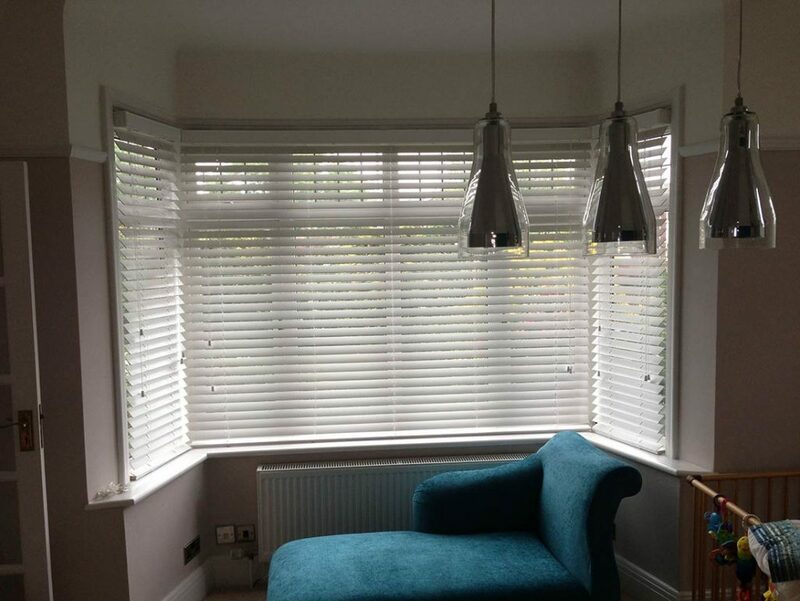 You can be sure they are made from the highest quality materials to your specifications making these blinds the perfect solution when it comes to finding the right blinds for your home. 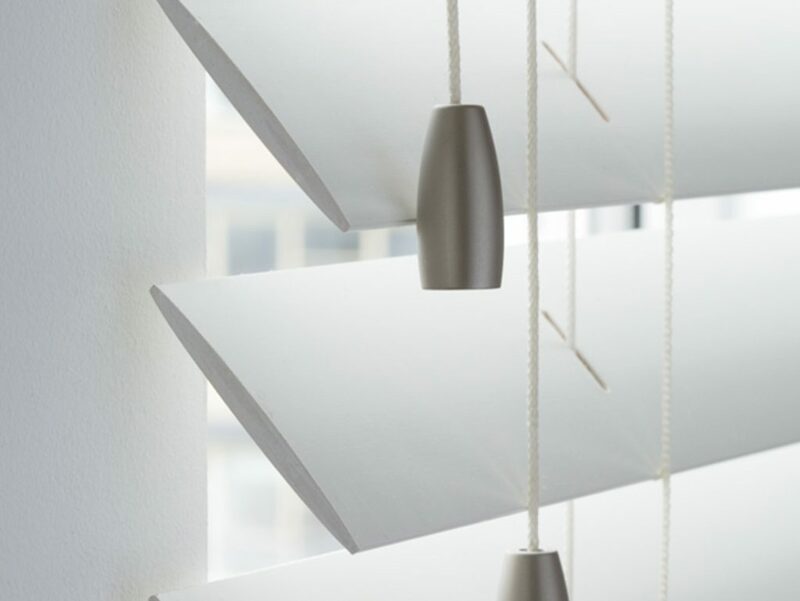 These blinds are able to be supplied in a range of 18 colours, which includes 7 white shades, 5 on-trend greys and 6 wood tones, making sure that the tone of your room and the blinds we supply will be the perfect match. 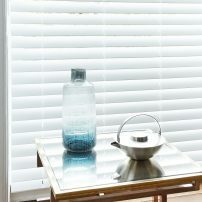 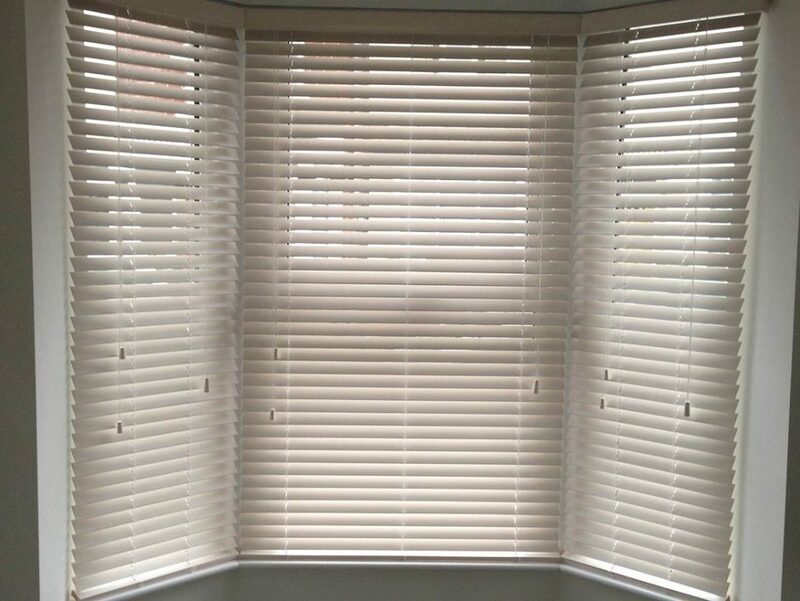 All of our faux wood blinds are available 50mm slat width and around 10 of them can also be supplied in 38mm. 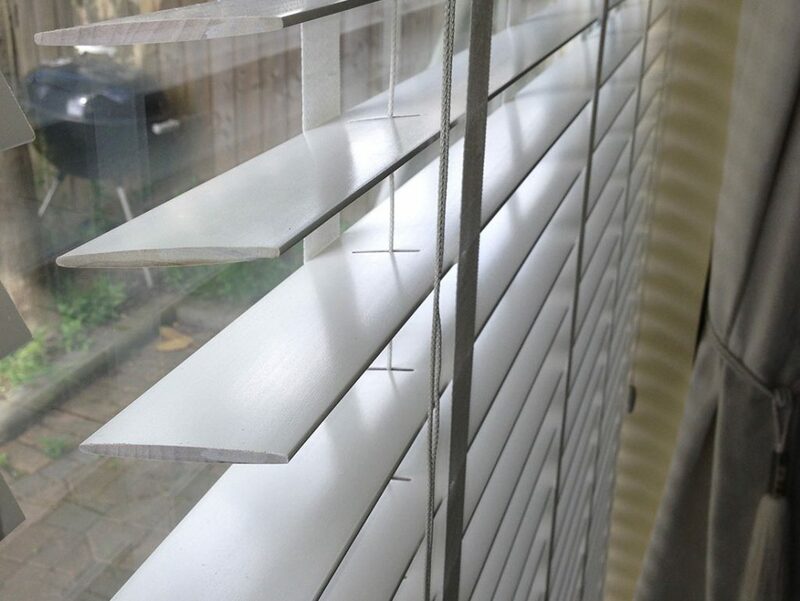 We can offer metal pulls for just a little bit extra, and you will also get exceptional top slat closure achieved with a unique light block strip underneath headrail. 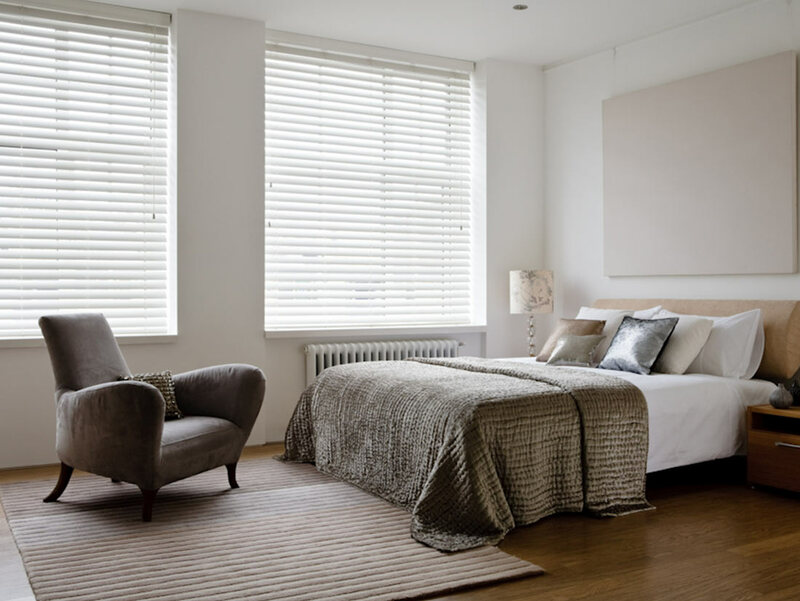 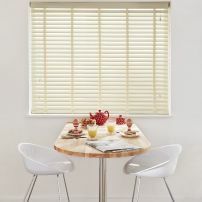 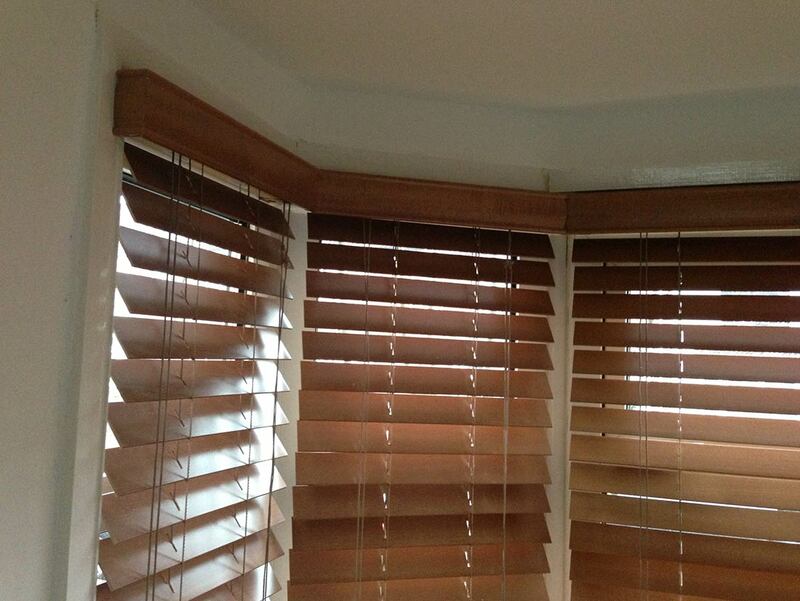 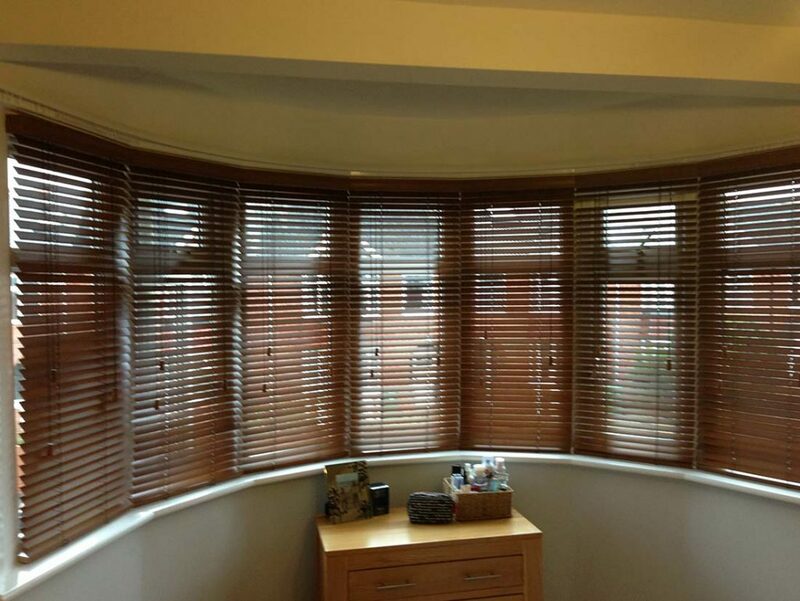 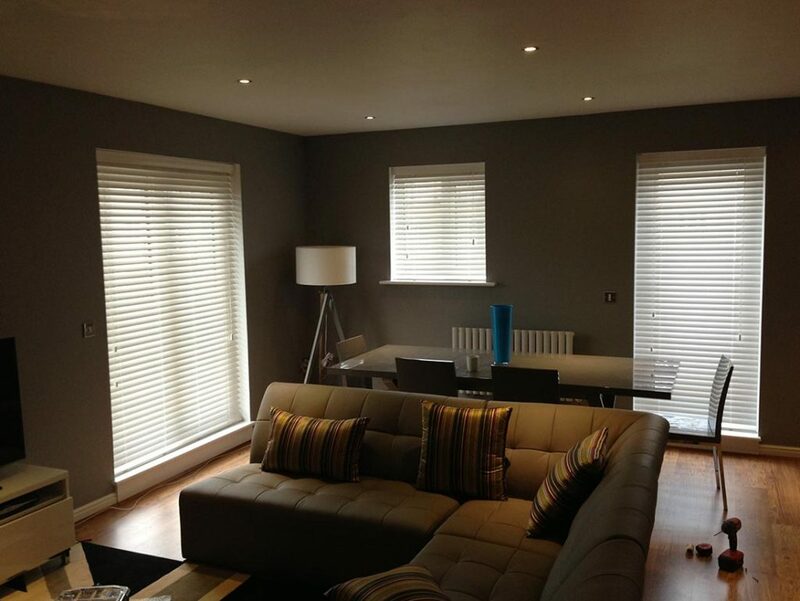 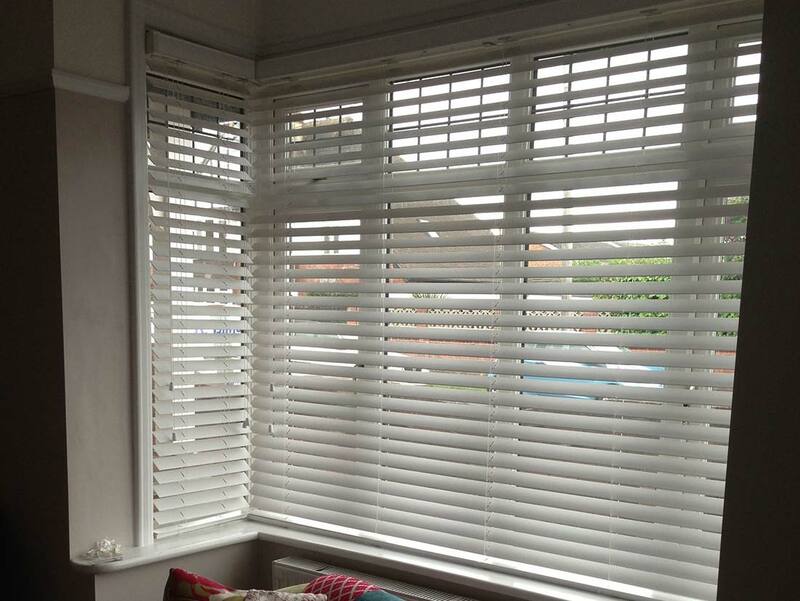 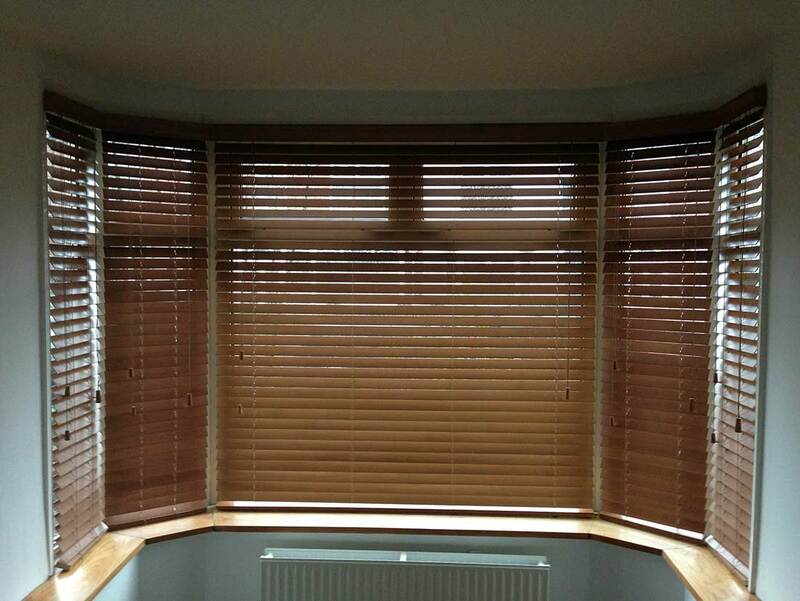 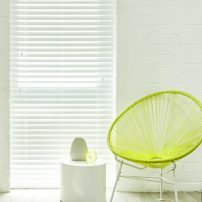 At South Coast Blinds we offer faux wood Venetian blinds at a low price, making them affordable to anyone’s budget. 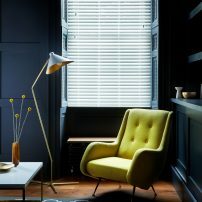 We have a wide range of colours to choose from and all our wooden blinds are made to measure your window, you will not believe our low prices, so give us a call today to arrange a free appointment. 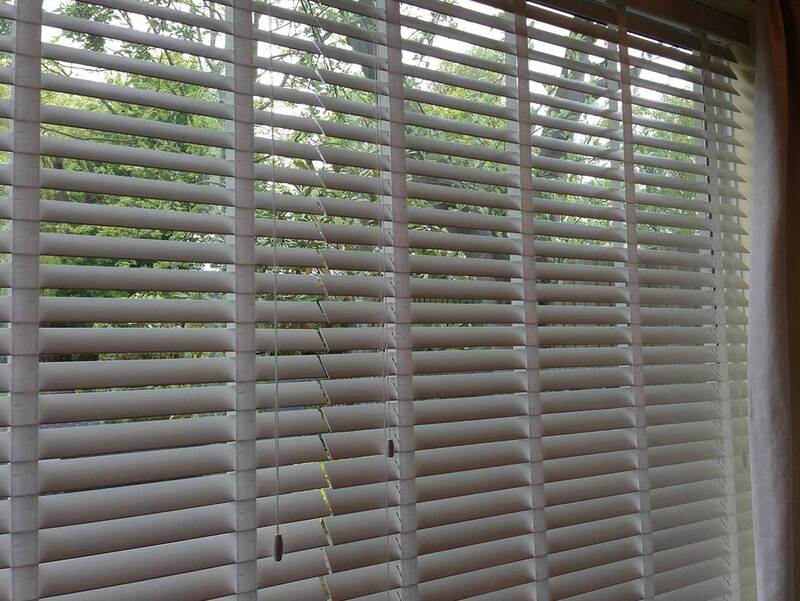 Textured to mirror natural wood slats perfectly. 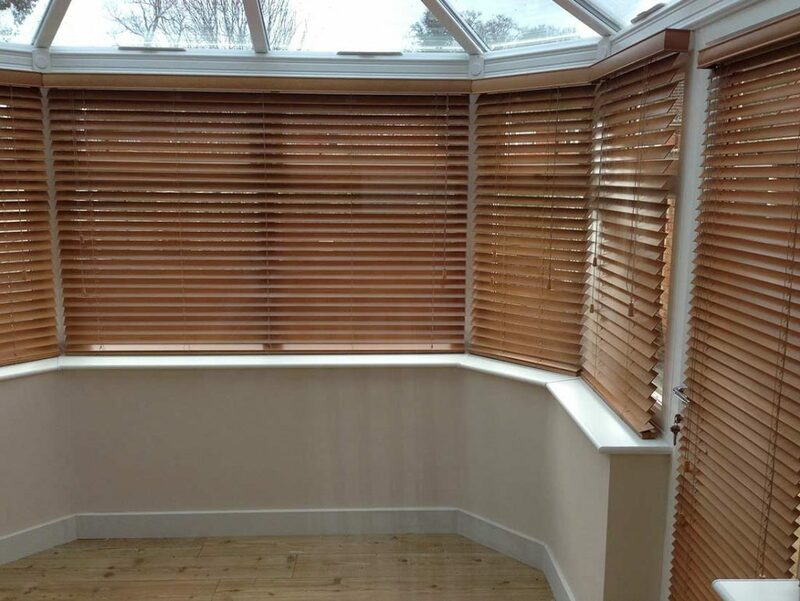 A smooth matt finish to create a painted wood effect. Gloss finish for a polished impact in a room. 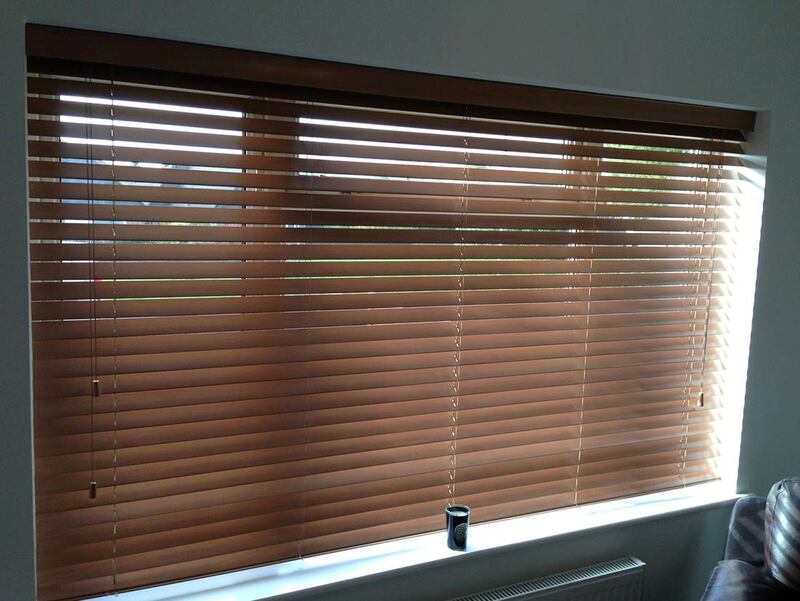 Ideal for smaller windows and fittings outside the recess. 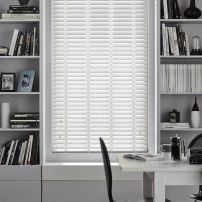 Most popular choice with ideal light filtering and privacy effects.